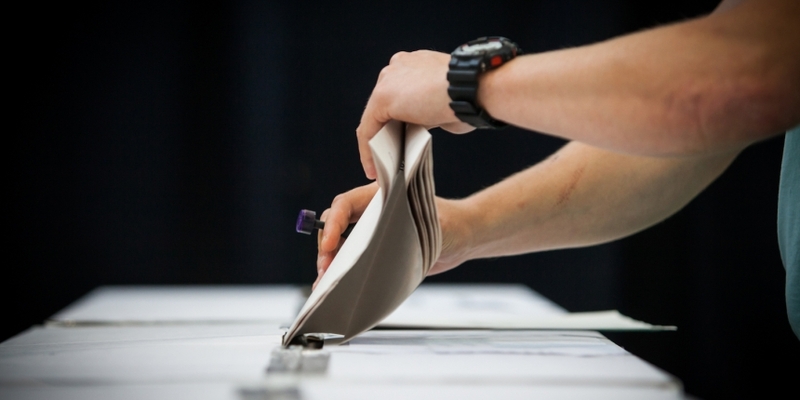 Exchange operator Nasdaq has released its conclusions about a blockchain e-voting trial it conducted in Estonia last year. A new Nasdaq report, published today, details the project, which it unveiled in February 2016. At the time, the company’s officials said they hoped to reduce both the complexity and cost of organizing shareholder votes as part of a bid to boost overall participation. Nasdaq leveraged information from Estonia’s e-Residency platform as a basis for creating voting accounts. Working with blockchain startup Chain, Nasdaq developed a system in which digital assets signifying voting rights – and tokens to be used to actually cast votes – were distributed to shareholders. Nasdaq first announced its partnership with the startup in mid-2015. Feedback from the test was positive overall, the firm said. At the same time, participants highlighted the need for more mobile support, specifically a dedicated app through which votes could be cast. Among those testing the solution were LHV Group, which has explored the tech in the past, developing a digital wallet that uses bitcoin as a payment rail. Elsewhere, a number of exchanges worldwide have been exploring the same concept in recent months, along with proxy voting firms like Broadridge. Nasdaq’s next steps include applying the framework and lessons learned from the Estonia project to other areas. “We will explore how this successful [proof-of-concept] can potentially be applied to other Nasdaq internal and client-facing solutions,” the company said.